The mission of the Pennyrile Narcotics Task Force is to support the Kentucky Office of Drug Control Policy’s strategy of reducing drug use in the Commonwealth of Kentucky. To measurably reduce and disrupt the importation, distribution, and clandestine manufacturing of methamphetamine and other illegal drugs in the Pennyrile region and other parts of the Commonwealth of Kentucky; thereby, reducing the impact of illegal drugs and related violent criminal activity which address the need to increase the safety of the citizens of Kentucky. 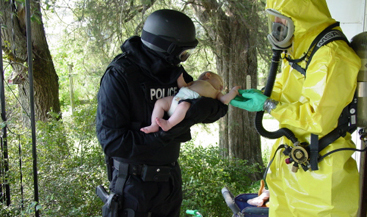 To support federal, state, and local law enforcement agencies, particularly in rural communities where resources and manpower are always scarce, through sharing resources, education, information sharing and working cooperatively to identify, arrest, and prosecute key members of illegal drug trafficking organizations as well as related money laundering operations. To assist statewide and community anti-drug coalitions in educating the Pennyrile region’s youth, families, and other at risk groups regarding the consequences of methamphetamine and other illegal drug use. This mission will be accomplished through a unified Law Enforcement effort and Community Cooperation which will improve the quality of life in the Pennyrile region and the Commonwealth of Kentucky. In the mid 1980’s Dan Bozarth of the Pennyrile Area Development District envisioned a narcotics unit that would supply support to law enforcement agencies in the 9 county Pennyrile area enabling more meaningful “war on drugs”. From his vision, the Pennyrile Narcotics Task Force was born. In November, 1987, the Pennyrile Area Development District Board of Directors unanimously endorsed the formation of the Task Force to study the illegal narcotics activity in the region. Realizing the financial constraints on the individual units of government to combat the sale and use of illegal narcotics, 26 units of local government resolved to join together to form the Pennyrile Narcotics Task Force. The Task Force’s Board of Directors is comprised of mayors, county judge/executives, sheriffs, police chiefs, prosecutors, and other interested persons representing the participating units of government. One member from each county serves on the Task Force’s Executive Committee and has the responsibility of developing strategy for dealing with the narcotics problem. 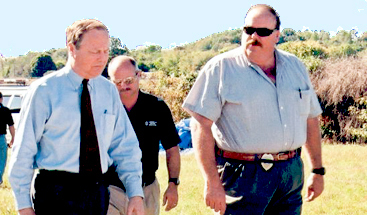 With the assistance of the Kentucky Justice Cabinet and the member local governments of the Task Force, a three member unit was formed in October of 1988 consisting of Director Jimmy Boyd and two Detectives covering nine counties in the Pennyrile Area which are: Christian, Caldwell, Muhlenberg, Todd, Trigg, Lyon, Hopkins, Livingston and Crittenden. In 1998 the Pennyrile Narcotics Task Force was selected by the Bureau of Justice Assistance to administer the Methamphetamine Initiative for the 33 counties in the first congressional district. To date, the Task Force has dispersed over 4.5 million dollars to state and local law enforcement agencies within the first congressional district to combat the methamphetamine epidemic. The Task Force is currently in its 28th year of operation and is now comprised of 11 counties covering Western Kentucky. The counties now include: Caldwell, Christian, Crittenden, Henderson, Lyon, Livingston, Muhlenberg, Todd, Trigg, McLean and Webster.